AllRefer.com > Pictures & Images > A skua displays its outstretched wings in a "long-call wing display" as a method of claiming its territory. A skua displays its outstretched wings in a "long-call wing display" as a method of claiming its territory. 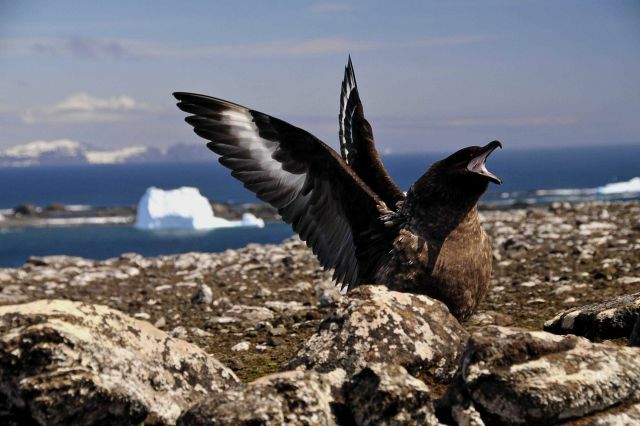 A skua displays its outstretched wings in a “long-call wing display” as a method of claiming its territory.